Crepe fabric offers a graceful drape and superior wrinkle resistance even when traveling. 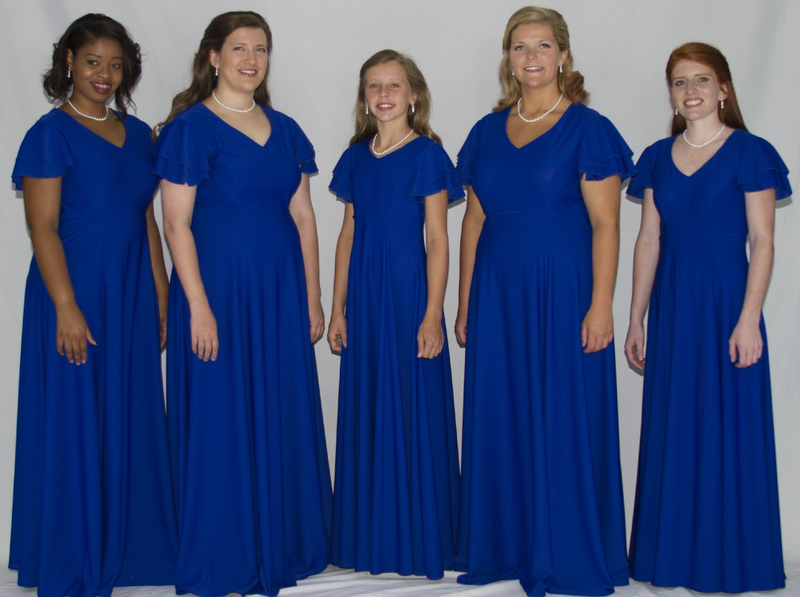 This concert choir gown features a back zipper and is washable. The modest neckline and double ruffle sleeves are pleasing on every body type and are appropriate for all formal functions. FWO Extras: This is a very popular dress for large concert choirs looking to outfit their entire group. Because this style looks great on all body types and ages, it is one of our more versatile gowns. We now offer it in Youth Sizes! Check out the Youth Double Flutter Sleeve (Corelli) Dress for more details.